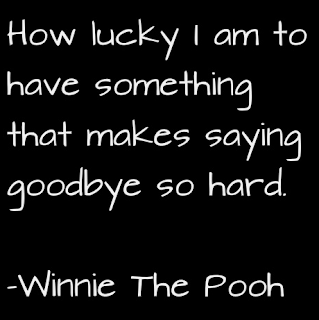 Whether it is to a family member, a friend, a neighbor or even a job, saying good-bye can be difficult. It can bring much emotion to the surface and make you truly appreciate what you have. 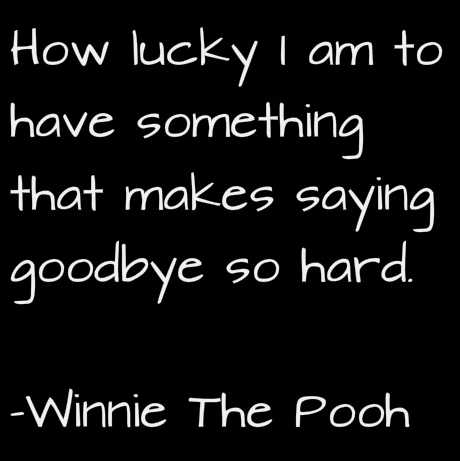 If saying goodbye is difficult, you truly are lucky. It means you have something meaningful in your life and something that you care about. As you go through life, look for these people, opportunities and events. If you find them, enjoy every minute with them and do not take them for granted.